Periscope and Lara Croft GO topped Apple's "Best of" lists this year. Apple revealed its “Best of 2015,” highlighting the best applications and games the iTunes App Store had to offer this year. Apple selected Twitter‘s live-streaming app, Periscope, as its app of the year for 2015, with Lightrick‘s photo editing app, Enlight, and Robinhood Markets‘ stock trading app, Robinhood, claiming second and third place, respectively. In addition, Apple chose DeskConnect’s Workflow as the “Most Innovative” app of 2015, while Instagram was selected as the “Best App on iPhone 6s” thanks to its 3D Touch functionality, which allows users to Peek at photos. 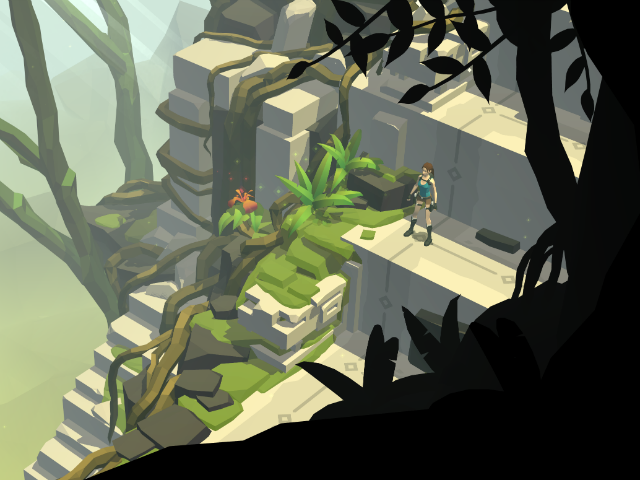 For games, Square Enix‘s puzzle game, Lara Croft GO, topped the list, followed by Bethesda‘s vault-building simulation game, Fallout Shelter, and 1Button‘s one-button platformer, Mr Jump, in second and third place, respectively. RAC7 Games’ Dark Echo was highlighted as the “Most Innovative” game of 2015, while Pixel Toy‘s Warhammer 40,000: Freeblade was chosen as the “Best Game on iPhone 6s” thanks to its 3D Touch controls. We debated. We argued. Everyone had favorites, but to make this list of 2015’s finest, there could be no doubts. What you see here made the cut—they’re the most visionary, inventive and irresistible apps and games of the year. Check out the full results below for Apple’s best apps and games of 2015. Readers: Did your favorite iOS apps and games make the lists?